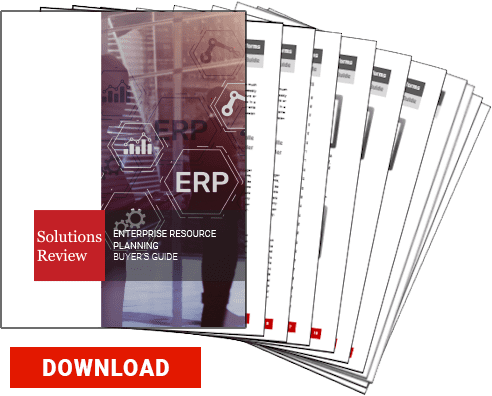 Solutions Review has compiled this list of the 10 coolest Enterprise Resource Planning (ERP) CEOs based on a number of factors, including the company’s market share, growth path and the impact each individual has had on its presence in what is becoming the most competitive global software market. Some of these individuals have been with their respective companies since day one while others are serial entrepreneurs. One thing that stands out is the diversity of skills that these chief executives bring to the table, each with a unique perspective that allows their company to thrive. Grant Fraser is President and CEO of Navigator of Business Solutions. With more than 25 years of consulting, sales, and industry experience within the ERP space, Grant has directed development and marketing of a number of software products that have had a “game changing” effect on the business and the market. In 2005, Grant partnered with SAP Business One and SAP Business ByDesign in 2009. Under Grant’s leadership, Navigator has become the #1 Global Partner for SAP Business ByDesign. Prior to SAP, Grant successfully led other ERP practices for Visual and Lilly Software. With over 25 years of leadership experience in the software business, Jon holds the position of CEO at Acumatica. Before joining the Acumatica team, Jon had spent 25 years at Microsoft, where he led efforts in many areas including product development and business operations, strategy, and marketing for all of Microsoft, US. His most recent role was Corporate Vice President for the Worldwide Partner Group where he led a global sales and marketing team of more than 5,000 employees and Microsoft’s 640,000 partners. In 2012, Dave joined Host Analytics, and under his leadership, has increased the size of the company’s subscription base, raised more than $50M in venture capital, and more. Dave started his career in technical and product marketing positions at Ingres and Versant. Prior to Host Analytics, Dave was SVP and General Manager of the Service Cloud at Salesforce.com. Before that, he was CEO of MarkLogic and previously was CMO at Business Objects. Dave sits as an independent director on the boards of data catalog leader Alation, agtech innovator Granular, and content management disruptor Nuxeo. Gary is President, CEO and board member of IQMS Manufacturing Software. He previously held the position of Chief Operating Officer/GM at HighJump Software, where he was responsible for all operations pertaining to the supply chain solutions group, including strategy, general management, sales, professional services, support and marketing. Before HighJump, Gary held an SVP position at Infor Global Solutions where he led all operations for the manufacturing group that included all process and discrete manufacturing software products. Prior to Infor, he was the CEO of DataTrend Information Systems. Pat is the founder, President and CEO of Rootstock Software. With over 30 years of management, sales, technical experience and an extensive background as a software architect and engineer, he brings a very unique blend of analytical focus and business development to the company. Pat is also the founder and former CEO of Relevant Business Systems, a client-server ERP software provider with an exclusive focus on discrete manufacturing companies. Pat also holds the position of President and Owner of The Danville Group, which was formed to provide business development services to technology startups focused on the manufacturing space. Steve Murphy is the current CEO of Epicor Software Corporation. Before joining Epicor, Steve served as president of OpenText, where he was responsible for all customer-facing activities including sales, marketing, partners and alliances, global technical services, customer support, professional services, sales operations and cloud services. His career spans more than 20 years in the technology sector including sales and operations leadership positions at Oracle, Sun Microsystems, and Manugistics. Steve was recently named as one of the 2018 “Pros to Know” by Supply & Demand Chain Executive in its 17th annual supply chain industry list. Mark holds the position of CEO and Board of Directors member at Oracle Corporation. In 2010, Mark joined the Oracle team as President, and four years later became CEO with decades of technology industry leadership, computer hardware expertise, and executive management experience. With more than thirty years of experience in the technology industry, Mark has been recognized for his business leadership within the enterprise tech space by publications such as Fortune and the San Francisco Chronicle and has even been named multiple times by Business 2.0 magazine as one of the 50 Who Matter. Since Oracle’s completed acquisition of NetSuite, he’s outlined growth acceleration, broadening of the product line, and technology investment. Safra also holds the position of CEO of Oracle Corp. and a member of the company’s Board of Directors. Previously, she served as President of Oracle and the company’s Chief Financial Officer (CFO). Safra first served as Oracle’s CFO from 2005 to 2008, as executive vice president from 1999 to 2004, and as senior vice president from April to October 1999. She served on the board of directors for HSBC Holdings, one of the world’s largest banking and financial services organizations, from 2008 through 2015. Safra currently serves as a director of The Walt Disney Company. Charles is the CEO of Infor. Before Infor, he was President of Oracle Corp. and a member of its Board of Directors. Prior to Oracle, Phillips was a Managing Director in the Technology Group at Morgan Stanley, where he was an Institutional Investor All Star for ten consecutive years. Charles is an active member of the Board of Directors at Viacom Corporation, the American Museum of Natural History, and Jazz at Lincoln Center, New York Law School, The Posse Foundation, CodeNow, the Intrepid Museum, and Phillips Charitable Organizations. Before he started his business career, Charles was a Captain in the U.S. Marine Corps in the 2nd Battalion,10th Marines artillery unit. Satya is CEO of Microsoft and has been since February 2014. Satya joined the Microsoft team in 1992, and held a variety of roles, most recently executive vice president of Microsoft’s Cloud and Enterprise group where he led the transformation to the cloud infrastructure and services business. Prior to becoming CEO, Satya held leadership roles in both enterprise and consumer businesses across the company. Previously, Satya led R&D for the Online Services Division and was vice president of the Microsoft Business Division. Before joining Microsoft, he was a member of the technology staff at Sun Microsystems.